Humboldt State alumni are happy with their education, likely to recommend HSU to another person and are among the most loyal alumni in the Cal State System, according to the 2013 Alumni Attitudes Survey conducted by the Performance Enhancement Group, Ltd.
Humboldt State University, along with 18 other CSU campuses, recently participated in a survey that polled alumni about their thoughts and feelings relating to their alma mater. For HSU, 20,337 surveys were delivered and 1,746 responses were received for an overall response rate of 8.59 percent. HSU has more than 60,000 living alumni in the United States. In March, Rob Shoss, Managing Consultant of PEG, Ltd., presented findings from the survey to the Humboldt State University Advancement Foundation Board, representatives from the divisions of Student Affairs and University Advancement, department chairs and the University Executive Committee. Nearly all participants a positive opinion of HSU. In fact, 95 percent of participants said attending HSU was a “great decision,” and the 94 percent said they had an “excellent experience” as a student. A majority also has an “excellent” opinion of HSU. Holding the university in high regard no doubt explains why roughly 50 percent of respondents said they “regularly” or “all the time” promote HSU to others. And most agree the value of their degree has the largest overall impact on their opinion. However, alumni did indicate there are areas where Humboldt State can work to improve. Younger alumni–the survey divided alumni by era of engagement, with categories such as “Post Vietnam,” “Watergate Era,” “Post 9/11,” etc.—indicated HSU can do a better job preparing them for their careers. Humboldt State has taken note of those findings. In the 2008 Alumni Attitudes Survey, participants indicated HSU was failing to take advantage of email. In 2012, participants positively rated the amount and quality of email HSU sends to alumni, especially regarding regional alumni events. Finally, alumni are clear they want more help identifying job opportunities for graduates and chances to mentor current students. “We’re pleased to hear these results, and to know HSU alumni are happy with their time here. We’ll study this feedback to enhance current programs and services with the goal of giving alumni even more reasons to support Humboldt State University,” Khattab said. 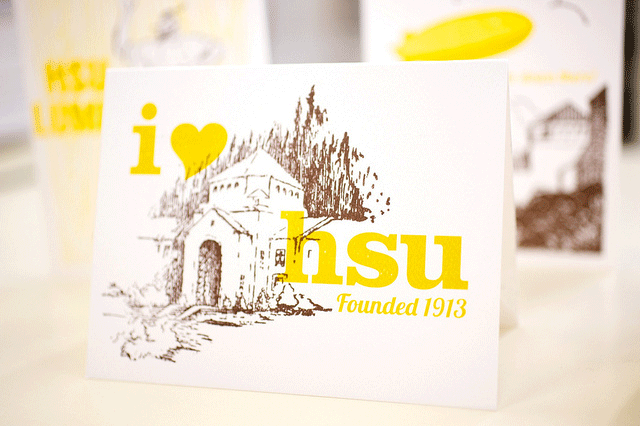 View the HSU Alumni Attitudes Survey slideshow presentation here (PDF).